We're "A Rock and A Hard Place," now on our NEW home server Gladden. Originally we come from Dwarrowdelf, but ...well ... some goblins and the windmachine changed our lifepath and finally we landed on Gladden where we were given a very nice welcome. 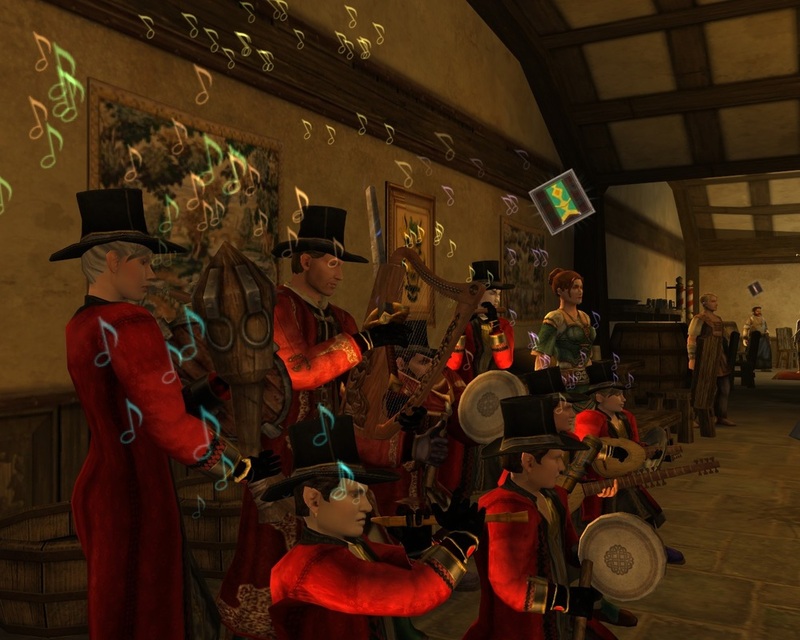 ​We really enjoy playing music, and for some of us, it's the reason we play the "Lord of The Rings Online." We play all kinds of music we like - in a word, we are "eclectic"! We hope we get to meet you all in game one day. When: 4pm server time. We usually play for two hours. If you have a special tune you´d like us to play, send Bruzo a PM well in advance and we´ll see if we have it or can put it together! Come by and dance and enjoy our musical stylings!